Since the first-ever Minimates appeared in 2002, that means Minimates turn 15 years old this year! We’ve got more new licenses and more new releases scheduled this year than ever before, and it’s an exciting time for the brand, so Diamond Select Toys president DSTChuck is ready to answer your Minimates-related questions! From Aliens to Predator, from Marvel to DC, from Muppets to Smokey and the Bandit (? ), your questions are answered! If it’s not, submit it in the drop-down form up top or e-mail DSTChuck! Hello. This year is the 40th anniversary of Smokey & The Bandit… I know you probably get multiple product suggestions per day but I would like to throw this one in there. You could make Bandit, Snowman, Frog, Sheriff Justice and maybe even Junior. It would be a good seller and the perfect year to sell them! Thanks. DSTChuck: That would be pretty cool, but no plans at this time. 1) Any plans to do updated versions of the 90s Gold and Blue X-men teams? I got into Minimates after these were released and they are very hard to find now. 2) Any plans to release the 90s X-factor team as Minimates? 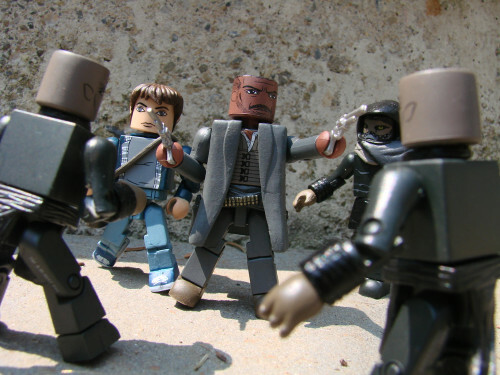 I really enjoyed the series and would love to have them in Minimate form. DSTChuck: We’re always looking at X-Men for ideas for future series, in fact we just did an X-Men series! So it’s all possible, but it’s not in the plans at this moment. Hello! With the announcement of DC Vinimates, I’ve got to ask: What do we have to do to get DC Mnimates? Spam DC Collectibles? Buy the hell out of the DC Vinis? Tell us, and we’re gonna do it. I mean, this is our chance to get them back, right? You’ve got the comics, film, game and TV show licenses. All we need now is minis of them. Don’t get me wrong, the Vinis look cool and all, but the Minimates are where it’s at. Thanks for taking the time to read my question and answer it! I had heard a rumor that series 3 might be the last wave of Muppet Minimates. Are you able to confirm if this is correct? I have loved this series and would keep collecting it forever, but if it had to end, I would really love to see a few last main characters who have not yet been produced: Sam the Eagle, Rizzo the Rat, Lew Zealand, Sweetums, Walter, and some Snowths to go with Mahna Mahna. Any chance you would bring it back for one more wave? DSTChuck: At this time, we do not have plans for Muppets MM beyond Series 3. Unfortunately, there were not enough fans of the line that felt like you do. 1. Regarding the Predator line of Minimates, DST has released several variations of the Predators in only Masked or Unmasked versions. Is there any chance we could see some of these alternate variations worked into future waves of the line? I understand some of the variations on existing Minimates may not be possible due to lack of reference material. What about the various videogame versions? I know NECA has produced some cool figures of these obscure versions, I would love to see Minimates versions. 2. Have there been a further discussions about producing a clean version of Bishop from Aliens or venturing into Alien3 or Alien Resurrection? I would still really like to get my hands on some skittering facehuggers before the Alien Minimate line wraps up. 3. While we are on the subject of Alien, can you please elaborate on why the Sigourney Weaver likeness for the Alien line is not as accurate as the Dana Barrett Minimates from Ghostbusters? Is it truly a licensing thing? We’ve been told in the past that Minimates don’t need likenesses due to not having a nose and DST’s designers have nailed the likenesses to so many other actors and actresses making it particularly odd that the Sigourney Weaver likeness is so far off that it has to be an intentional decision. A final word on this would be really appreciated. 4. Thanks for releasing the Space Jockey set, have there been any discussion about additional non-articulated display pieces for other Minimates lines? I know you are limited to what you can produce with the license, but are “Deluxe” sets possible for the Marvel line? I would love to see a Deluxe Ghost Rider set with a Hellcycle display stand (ie: no moving parts). Maybe 2 or 3 “Deluxe” X-Men Minimates, each with a piece to build a larger Sentinel background diorama piece. Not an articulated Minimate per se, or even a Vinimate, but a stand similar to the cool stands/dioramas you guys produce for the Marvel Select line. 1)	We are happy to keep going with Predator as long as the demand is there; we’re trying to get to every key human if we can, and we’re also working on the Lost Tribe right now. 2)	I think the same goes for Aliens. 3)	While for the MOST part MM are immune to likeness issues, that is not 100% the case. I am sorry you are not happy with the Ripley. 4)	I think, for the most part, the Space Jockey is an exception. There are NO plans to do vehicles in the Marvel lines. Got a question? Submit it in the drop-down form up top or e-mail DSTChuck! 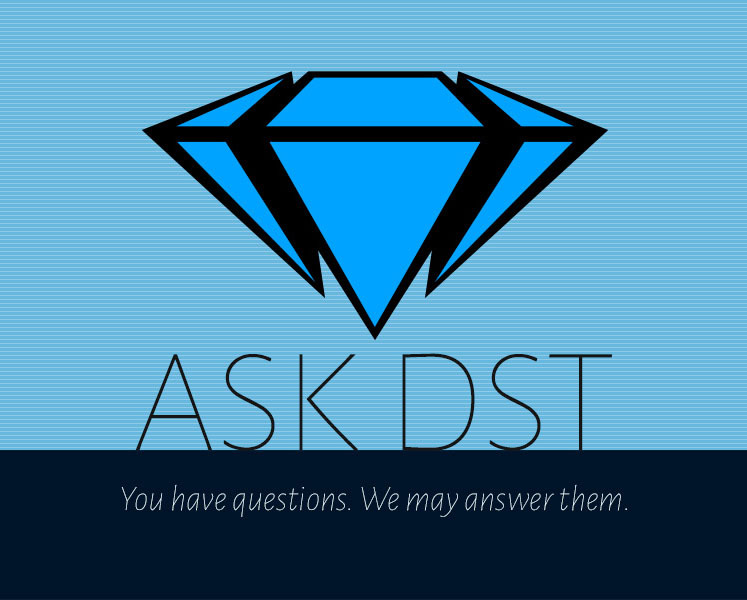 Ask DST #388: Miles of Minimates!